For organizations, clinics, patient associations, pharmacies, health centers … Download this document if you want to know how your entity can benefit from the HappyAir ecosystem. 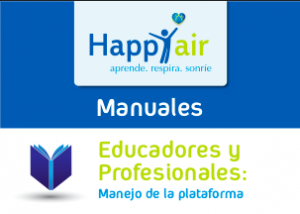 Manual for health professionals and educators on the management of the platform and how to conduct the daily monitoring of their patients with the help of the HappyAir platform. 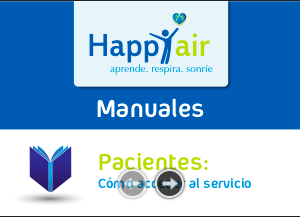 For patients who wish to join the HappyAir ecosystem. Manual for patients who are already part of the HappyAir ecosystem about the management of the platform, how to make daily records and how you can benefit from all the options we offer to take control of your disease.